Nothing says Memorial Day like a backyard BBQ! While you're waiting for Mom, Dad, or Grandpa to finish grilling, fill this Memorial Day coloring page with festive colors -- we suggest a whole lot of red, white and blue. 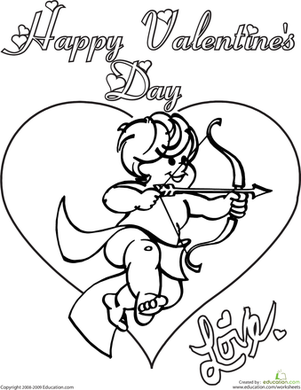 The Valentine's Day coloring page features a mischievous cupid. 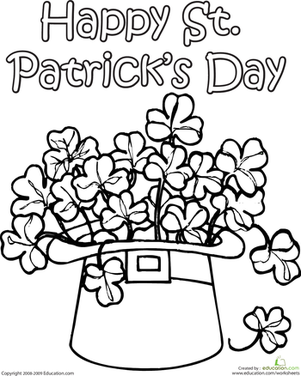 Patrick's Day with this coloring page, which features a bounty of clovers bursting from a hat. Make your child's day with a coloring page featuring a mighty great white shark. 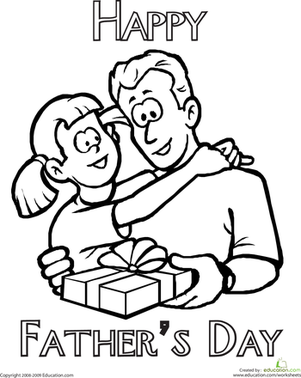 Have your child complete this Father's Day coloring page, then give it to Dad as a Father's Day message.